Motivation comes from the word ‘motive’ which is the needs of a person that drives them. Motivating others is an outside-in approach to leadership that is not sustainable over time because people don’t need motivation. Inspiration is when an individual is mentally encouraged to do something. Inspiring people is an inside-out approach to leadership that is entirely self-sustaining, as people strive to reach their fullest potential. Leaders often fail to understand human motivation: people are intrinsically motivated beings. They come to work for two reasons to earn the economic means cover their needs and to make a difference. Where leaders and companies often struggle with developing their teams along with myself, we always strive to motivate others when we should be inspiring them. Motivation tended to be very short-lived and filled with the emotions you are feeling that day, it comes and goes depending on the day. Inspiration is a lifestyle change where a person will make a long-lasting difference with systemic change. 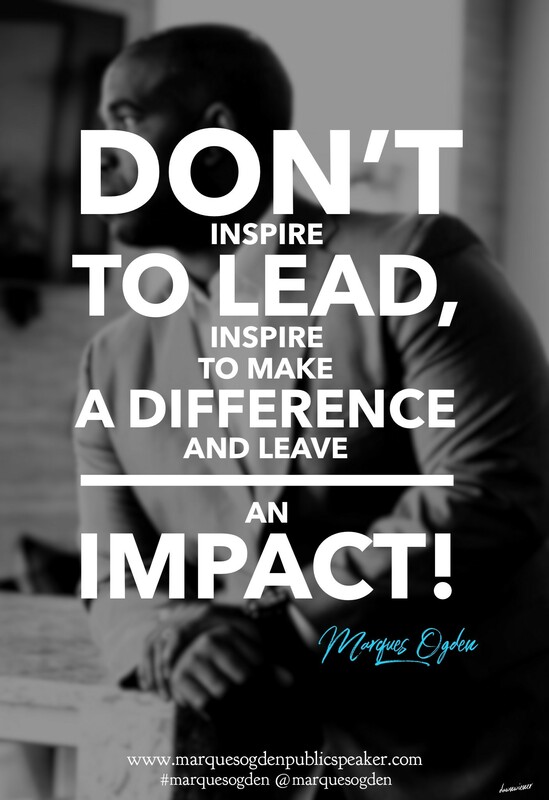 How will you make your leadership skills more INSPIRING vs. MOTIVATING for your team?